Holly is at the age where EVERYTHING goes into her mouth. Her teeth have been troubling her for about 4 weeks and yet no new teeth have come through so all she wants to do all day is munch on things. 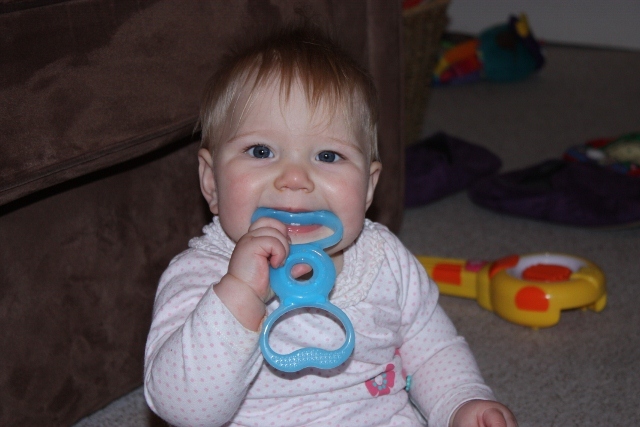 Holly has been trying out the Born Free Teether and has very much enjoyed chomping and chewing it. I like this teether because it doesn't pretend to be anything else. Its not in the shape of anything or disguised as a toy. The soft, medical grade silicone is very tactile and Holly likes to pull it and squeeze it as well as bite it. There are lots of different textures but the area she enjoys biting most is at each end which has 4 different bumpy textures. I have taken to rubbing a bit of baby toothpaste into the bumps so that she can chew on it and also get the benefit of toothbrushing too. The teether is also designed to add extra soothing if you chill it in the fridge but we haven't tried this yet. I have also tried Holly on one of the very pretty Born Free decorated bottles. Although I think I prefer this bottle for me over many of the others we have tried, Holly didn't respond so well to the teat (she just chomped it and even after several attempts didn't really work out that she was supposed to drink from it!). 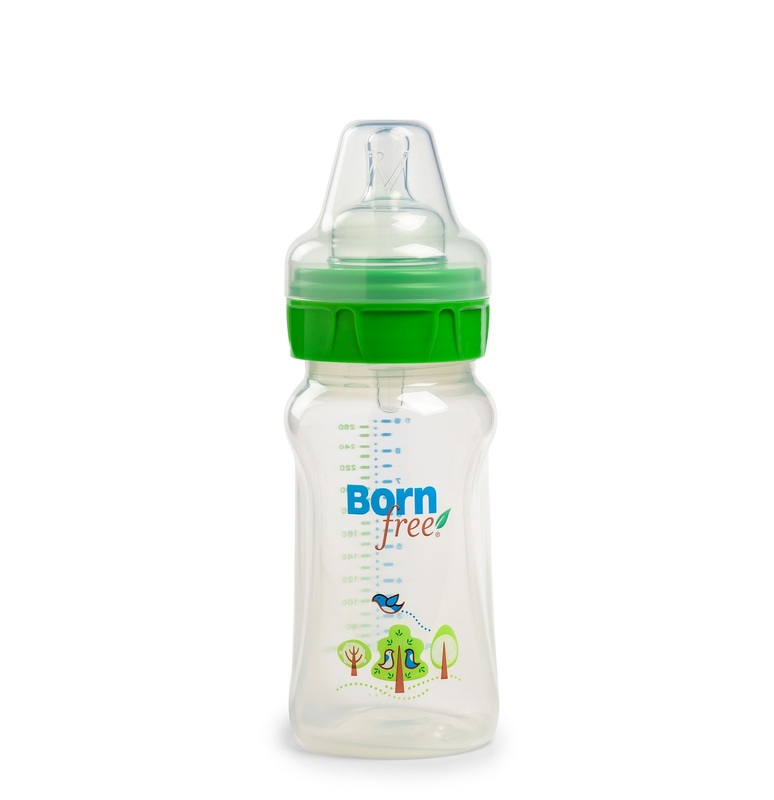 I like this Born Free`bottle not only for the pretty woodland design but mostly because it is large, wide and shaped such that it is incredibly comfortable in my hand when I am holding it for Holly. My only disappointment with the Born Free bottle (other than the fact Holly wasn't interested) was that I found it hard to mix formula inside the bottle. 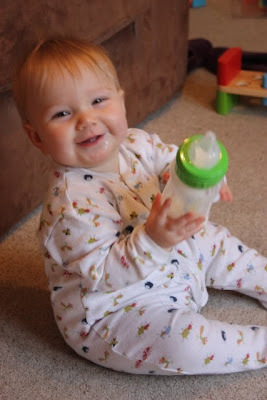 On my first few attempts, shaking the bottle caused milk to spurt out into the lid... it took quite a bit of practice to work out that I needed to screw the lid on sooooooo tight that only Mr. B. with his strong man arms could undo it again! 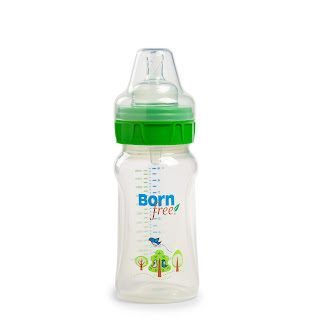 All of Born Free's bottles, cups and teethers are BPA-free and most of them feature their Active Flow technology which involves a clever little valve below the teat or spout which reduces air pressure inside the bottle to prevent a vacuum building up. This is really important for babies who suffer from colic or wind.